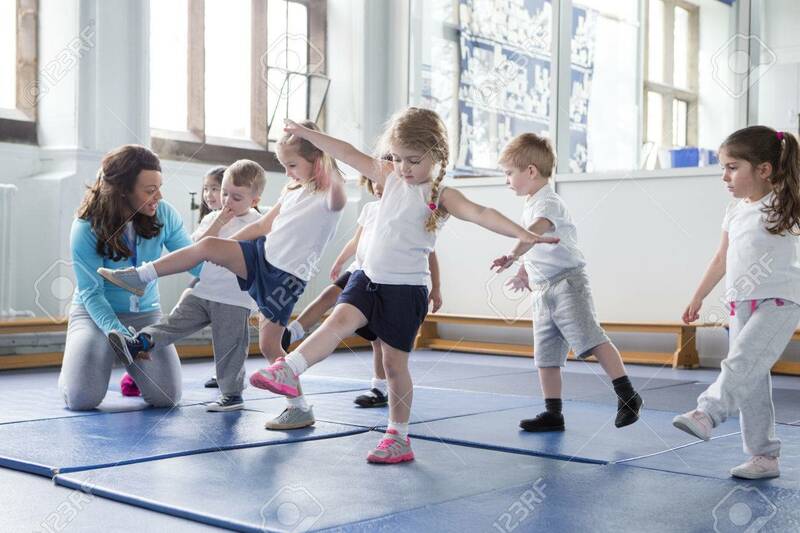 Nursery Teacher Helping One Of Her Students During A Physical Education Lesson. Royalty Free Fotografie A Reklamní Fotografie. Image 60481864.